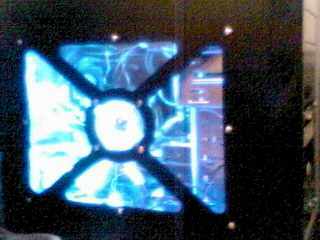 As I said, this was a pre-modded case; I did not make this window. I did love the style, though, so to help show it off I got a blue LED fan for the center fan mount. I like the rivets around the window, also.